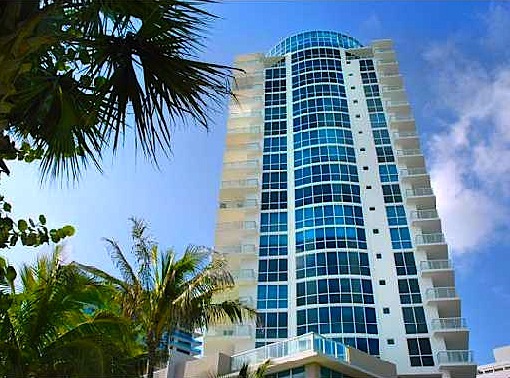 Mosaic is a 20- storey condominium with ocean views located in the heart of Miami Beach. 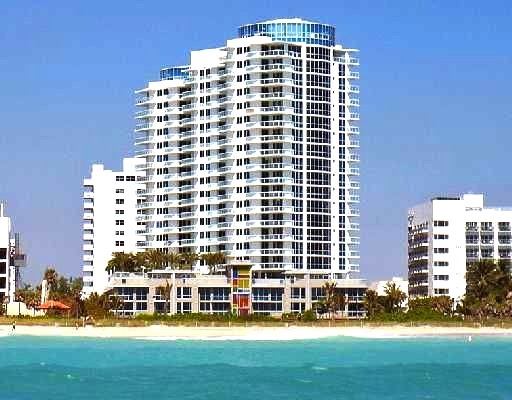 A few minutes driving from the building, the popular South Beach is situated, opening up the world of entertainment and recreation. 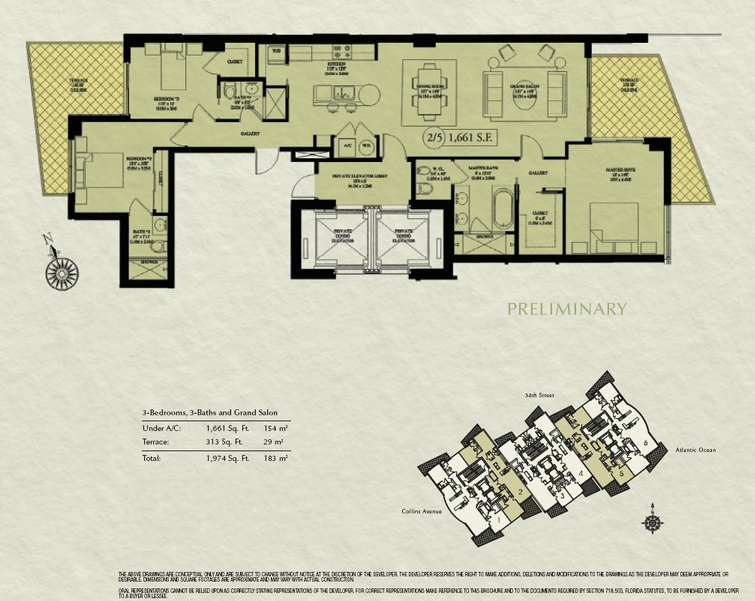 Mosaic offers to purchase apartments for 2-4 bedrooms ranging in size from 1350 to 3500 square feet, as well as exclusive townhouses. 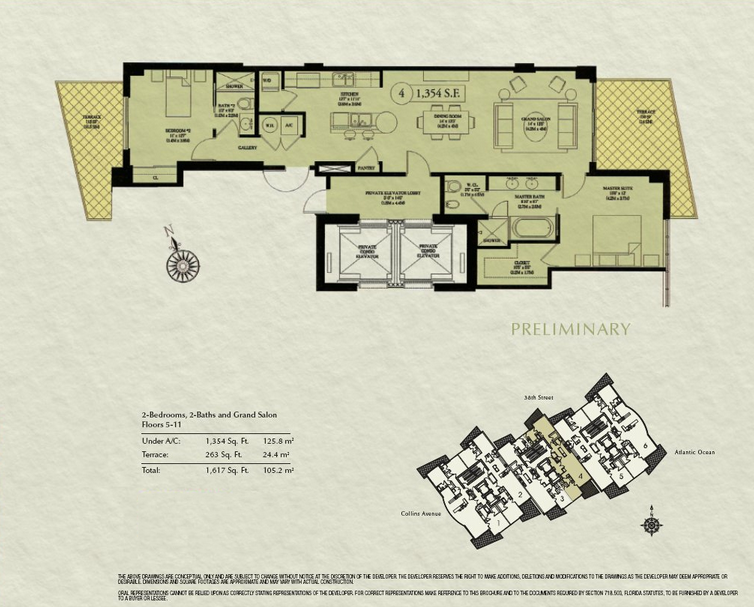 Each floor has about six suites with private elevator. All residents may at any time visit Sculpture Garden, created by the talented sculptor / artist Joan Warren - Grady. 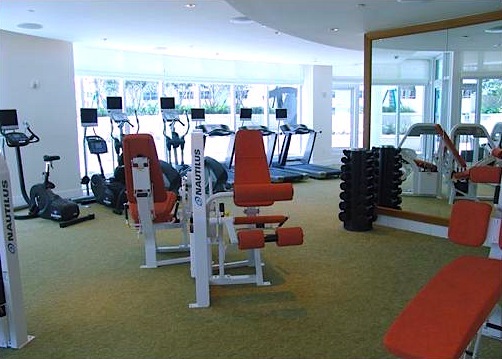 At your service is also a fitness center and a large swimming pool for keeping yourself in shape. Mosaic provides an opportunity to use modern media center and a business center, where you can work with high-speed Internet and printing services, as well as organize an important meeting. Speaking of services, it is worth noting the good work concierge, who is available at any time on any issue. The kitchen has all modern appliances from companies Sub-Zero and Miele. To create a certain charm Italian elegant lamps are installed, and the interior is close to European standards. 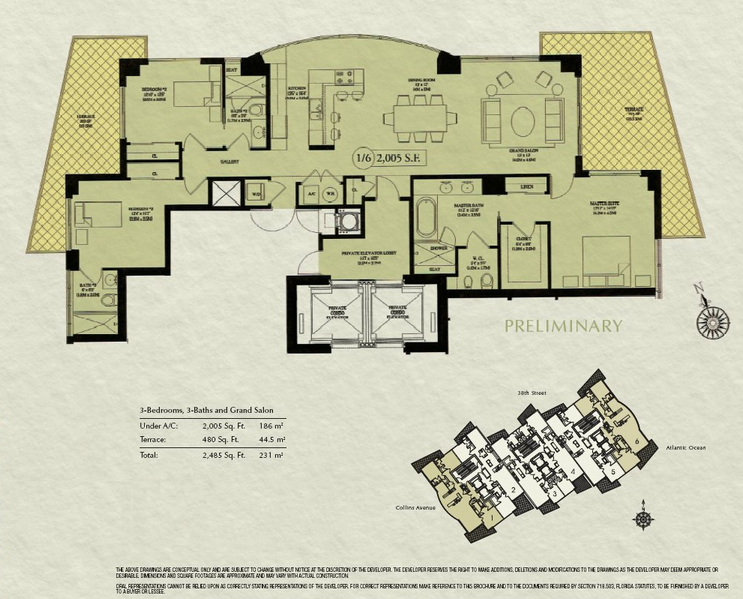 The bathrooms are done on the latest trends, a large bath with jacuzzi and massage functions, and white marble floors. 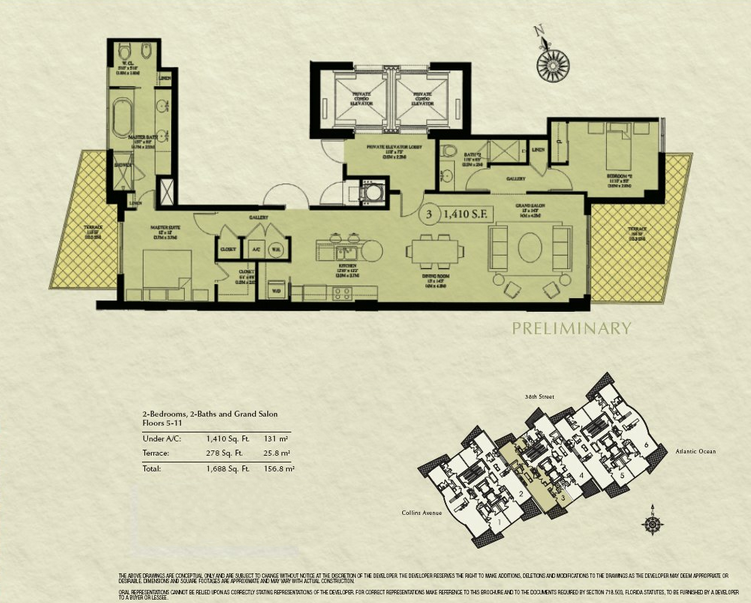 The condo is surrounded on all sides by restaurants, bars, stylish shops, art galleries and other interesting places. 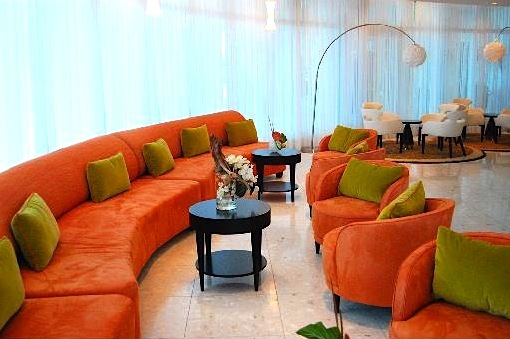 Mosaic, perhaps, the best place if you prefer luxury, comfort and entertainment that offers Miami Beach. 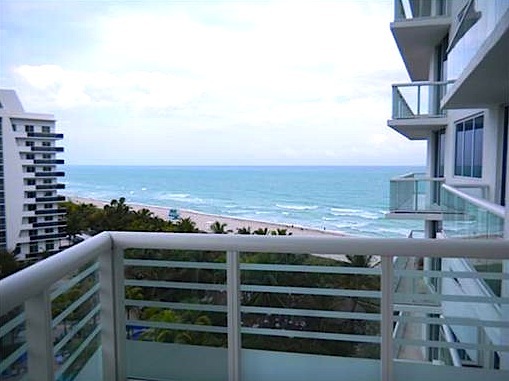 Certainly the location of the building chosen very well, it can be reached quickly to downtown of Miami and to the main airports. 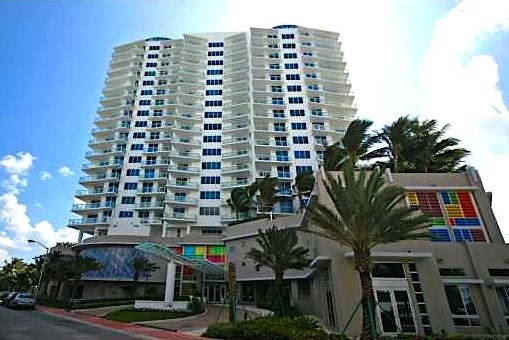 Mosaic became a pleasant addition to unique buildings of Miami Beach in 2006. The building was repeatedly achieved various awards for all-round development, the improvement of services and etc. 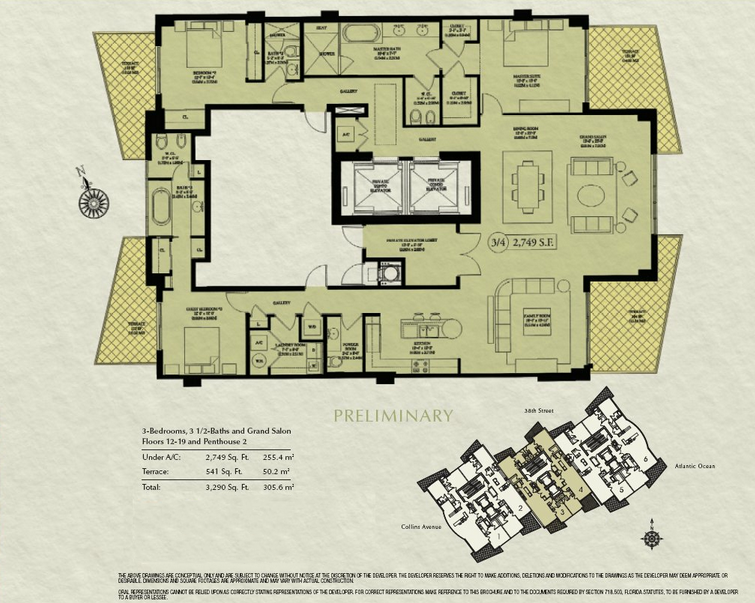 It has proven long time ago that it’s possible to live in an ultra-luxury condominium even when behind your door there are a lot of entertainments of fabulous Miami. Very high 10 - feet ceilings increasing the largeness of the rooms.